A repeat of the Nani "soul" breeding produced Sis, who finished her championship with many best-of-breed wins form the classes over specials. Sis quickly proved to be an outstanding producer. 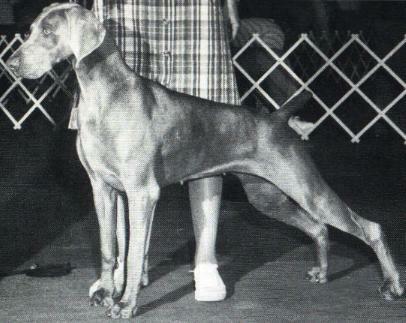 She produced 9 champions, including the breed's youngest best-in-show winner (CH Nani's Visa v.d. Reiteralm, BROM).